A wobbly bookcase is both an annoyance and a safety concern. 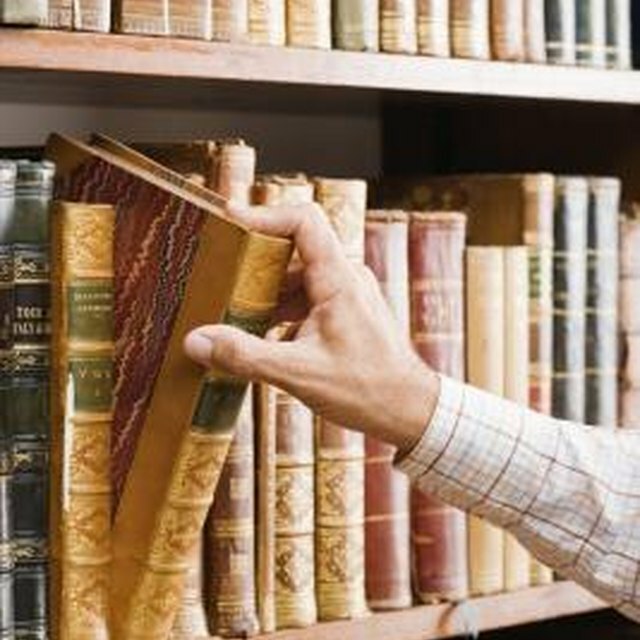 Even a small bump or shake can cause the already unsteady case to topple, along with the numerous books it may contain. Wobbly bookcases are caused by a variety of reasons and are particularly problematic on carpeting. However, stopping the movement is typically only a matter of creating a steady base for each of the legs to sit on. Steady a wobbly bookcase for safety. Remove all the books from the bookcase and set the bookcase out of the way. Insert a pry bar under the floor molding at the nearest wall and pry it up gently until it detaches from the floor. Pull back the carpeting, but not the padding, until you reach the area of the floor where the bookcase typically sits. Measure the length and width of the bottom of the bookcase so you know the exact location of each foot. Draw the measurements onto the carpet padding using a tape measure and a marker. Cut out 2-inch wide squares in each marked location of the carpet pad using a utility knife. Throw away the center portions of the squares. Place a tape measure at the end of a thin, wooden shim and measure down 2 inches. Cut off the shim at this location using a hacksaw and create three more shims of the same length. Insert each shim into the pad holes and fold the carpet back into position. If one of the bookcase legs is clearly shorter than the others, use two shims for that hole. Place the floor molding back in place and hammer in the nails to secure it. Set the bookcase back into position and make sure the feet are centered on the shims. If you don't have carpeting, cut the wooden shims to the same size as the feet of the bookcase and slip the shims under the feet until the wobbling stops.